Kiwi Sam Smoothy and world champion George Rodney are ready to pound the Andorran Pyrenees. 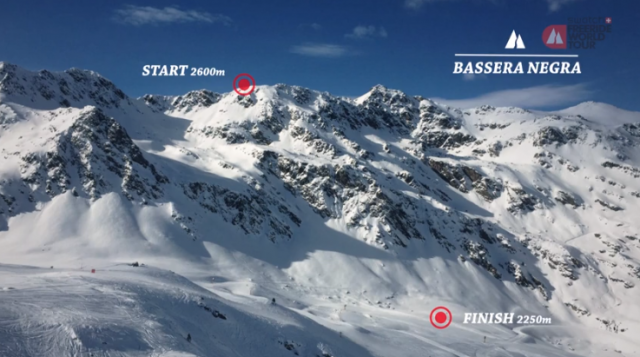 The two young skiers have a stake to claim at this Swatch Freeride World Tour venue, the first of five stops in the big mountain series. That's because they both took home gold here last year. When avalanche conditions persisted at the Fieberbrunn venue in 2015, officials decided to stage the Tyrolean stop at Vallnord-Arcalís in Andorra, where the tour was already headed for its next scheduled competition. And though Smoothy laid down one of 2015's most impressive runs (and arguably one of the competition's finest) at Vallnord-Arclaís, Rodney's Andorran Fieberbrunn win kick-started the freshman's ascension to the top. "I'm feeling stoked," Rodney said of the event, which is Friday, January 22. "The venue looks great… It's the same as my first win from last year but with some more terrain included. This definitely makes things easier, but I'll be riding a different line for sure. That's the fun part." Clinching a good result here does more than kick off a season well. To qualify for the fourth stop in Haines, athletes need to put points in the bank at the Vallnord-Arcalís, Chamonix, and Fieberbrunn events. In Alaska, there'll be a second-round selection before the tour wraps up at Verbier Xtreme. Rodney and Smoothy are ballsy, strong skiers, but neither has it in the bag. They’ve got 25 other men to contend with, including American FWT two-time champ Drew Tabke and Swiss skier Jeremy Heitz, who took second at the Andorra stop and overall last year. There are also six newly qualified athletes from the 2015 Freeride World Qualifier Tour. Perhaps the rookie streak—Loic Collomb-Patton won in 2014— will continue and we'll see the next victor rise from these ranks. Max Durtschi, one of two American skiers to qualify, claimed the FWQT win in the Americas region. Keep an eye on Norwegian Dennis Risvoll, who has competed for almost 10 years and won his country's first ever FWT stop after throwing two backflips as a wildcard entry. On the ladies side, it's easy to expect a showing from Austrian Eva Walkner, who took second at the two events staged in Andorra last year, then stood on the podium as the tour's overall women's champion. But the 13 other female athletes, including four FWQT-qualified skiers, pose solid challenges. Take veteran Jackie Paaso, or Hazel Birnbaum, who ranks third and won this venue in 2015, as just two examples. Then there's wildcard Matilda Rapaport, POWDER's December issue (44.4) covergirl. She's already demonstrated her strength in this circuit with a handful of podiums. There is a weather window through next week, but with recent snowfall and good conditions, officials expect the event to go off Friday without a hitch. We're two weeks out from the next stop, Chamonix, which is scheduled for February 6. Watch the livestream of the Freeride World Tour's season opener at Vallnord-Arcalís, Andorra, at freerideworldtour.com. Find a course preview here. The event is scheduled for Friday, January 22 at 8:15 a.m. CET (Thursday, January 21 at 11:15 p.m. PST). Look for continued event coverage at Powder.com.